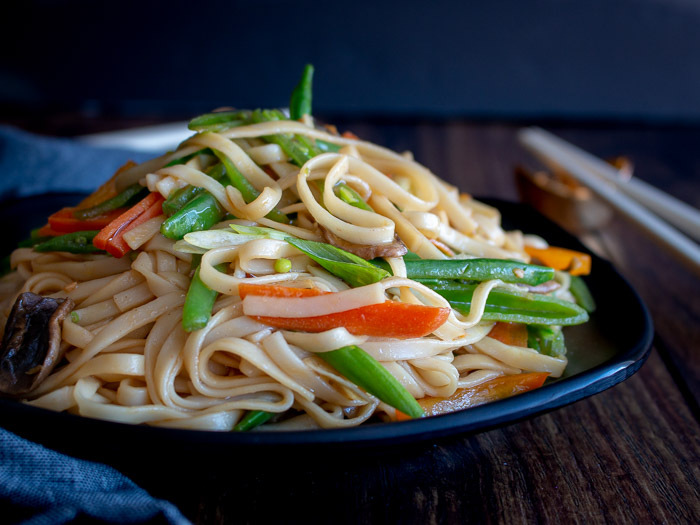 Better than Take Out Vegetable Lo Mein is one complete dish of comfort food that can be on your table in 20 minutes packed with vegetables and a delicious spicy soy sauce. 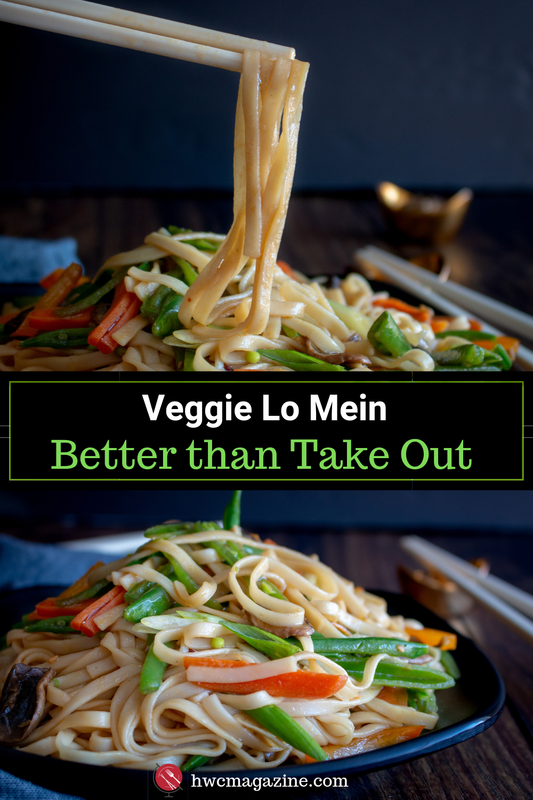 Why You are going to LOVE Better Than Take out Vegetable Lo Mein. 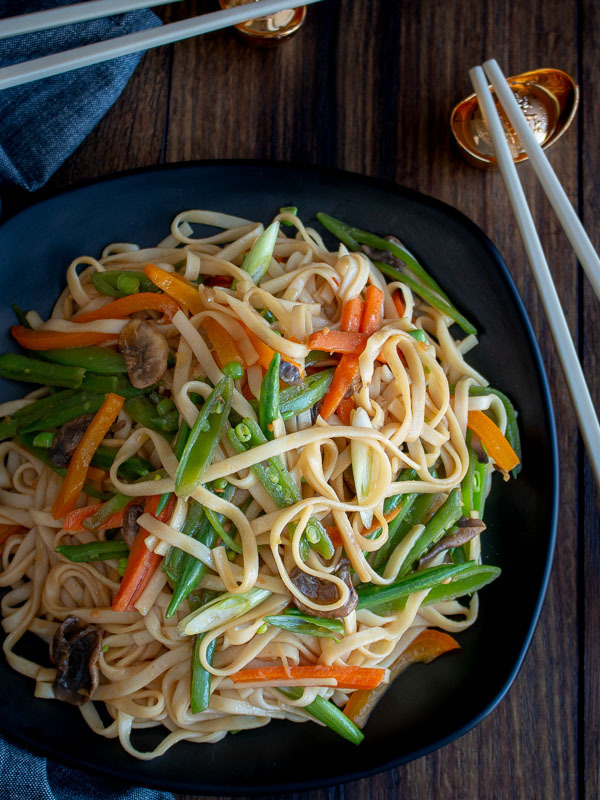 A little savory, a little sweet, a little spicy and a little earthy flavor will have your mouth excited to keep on slurping these delicious Better Than Take out Vegetable Lo Mein noodles. Meatless Mondays are for sure going to get a run for their money with this dish on your menu plan. 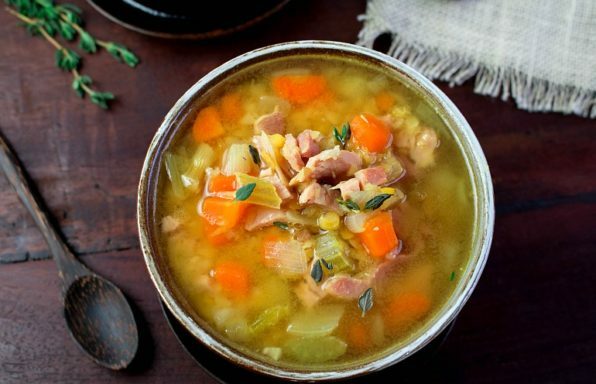 The best part is essentially this recipe is that it is a “Clean Out Your Refrigerator Moment”. 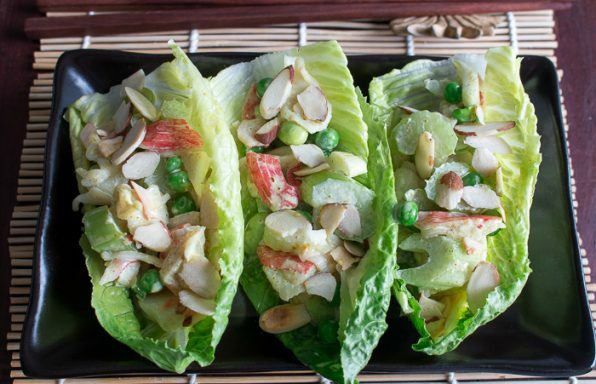 You can use any vegetables you have in your crisper. However, you need to cut them all up about the same size and best thinly sliced julienned. We used mushrooms, carrots, bell peppers, snap peas and green onions as that is what we had in our refrigerator. Feel free to use whatever you have on hand. If you can get your hands on fresh mung bean sprouts, it is really delicious in this recipe. When you eat out, you can't control the ingredients. Many places use lots of oil, MSG and other additives that really make us feel sick. When we cook at home, we know exactly what is placed in the food we are preparing and eating. We can also beef up the vegetable to noodle ratio. If you have someone with a gluten-free allergy, you can use tamari and gluten rice noodles to keep it just the way you like it. You also can adjust the soy to sugar ratio and heat level to get it to just where you like it. If you like it more spicy, increase the amount of garlic chili (Sriracha sauce) and white pepper. Do you like it more sweet then add a dash more sugar or sugar alternative. If you like it more or less salty adjust the soy sauce to your liking. This recipe is completely adjustable. Asian Ingredients that we Cannot Live Without! 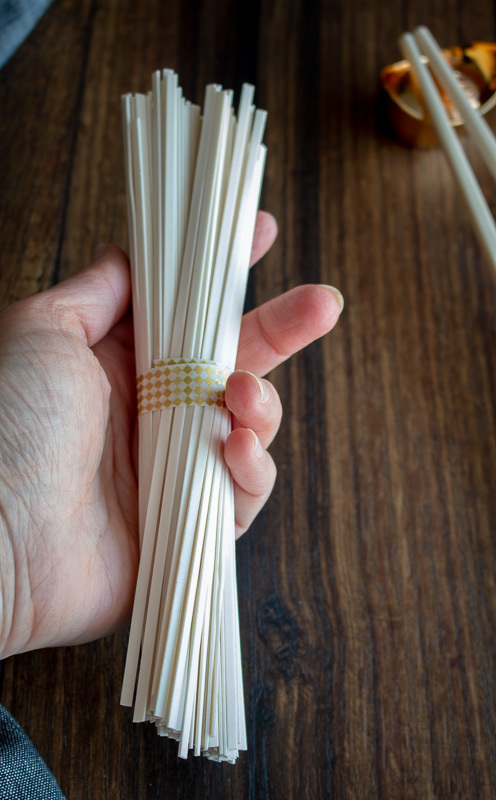 There are just a handful of ingredients that are survival ingredients when it comes to making any Asian recipe and they are sesame oil, soy sauce (tamari), chili sauce (Sriracha), Shaoxing Rice Wine (or a dry sherry), fresh garlic and ginger. You can make so many recipes with these base ingredients. 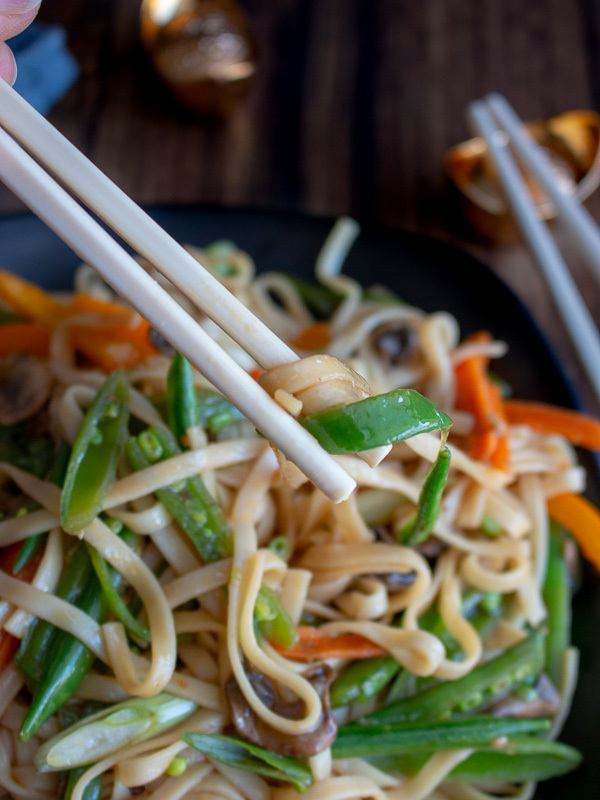 If you would like to add protein to this Better Than Take Out Vegetable Lo Mein recipe, be sure to check out our Spicy Beef and Longevity Noodles or try How to Cook Tasty Gluten Free Job Tears. The great news is these basic ingredients are pretty mainstream at a standard western grocery store too. Do you know the difference between dark soy sauce and regular soy sauce? Dark soy sauce is actually not as salty as regular soy sauce but it is dark and thicker and has almost a molasses type of texture as it is preserved longer. Regular soy sauce is lighter in texture and is saltier than dark soya sauce. If you have access to dark soy sauce then use half regular soy sauce and half dark soy sauce for this recipe. However, we were trying to keep it simple for you and using only ingredients that are easy to find in your local Western grocery market. Happy Chinese New Year! Kung Hei Fat Choi! Xin Nian Kaui le! Today is the start of the 2019 Chinese New Year (CNY). CNY came a little earlier this year and we have been scrambling to get things prepared. With life being so busy, there is no better way to enjoy longevity and long life than with long Better than Take Out Vegetable Lo Mein. 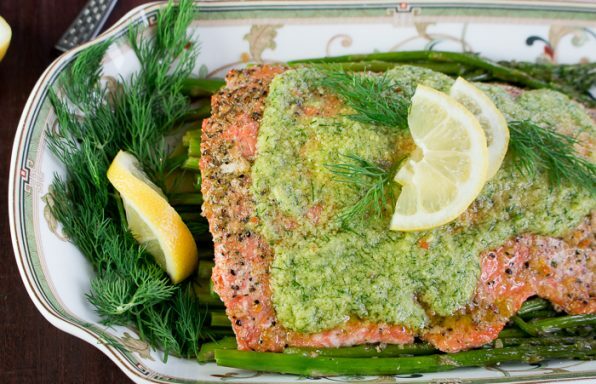 In just about 20 minutes, this delicious recipe can be on your table. Eating extra-long Noodles is an auspicious dish around Chinese New Year as the long noodles represent a long life and longevity and good health. 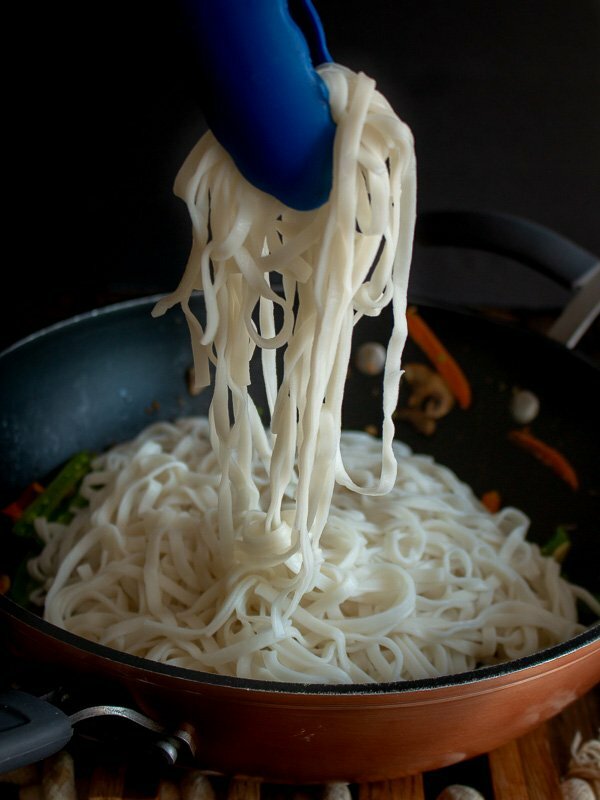 Do not cut the noodles to fit them into the pot or on to a plate, leave the noodles extra-long and lovely. Perfect for slurping. 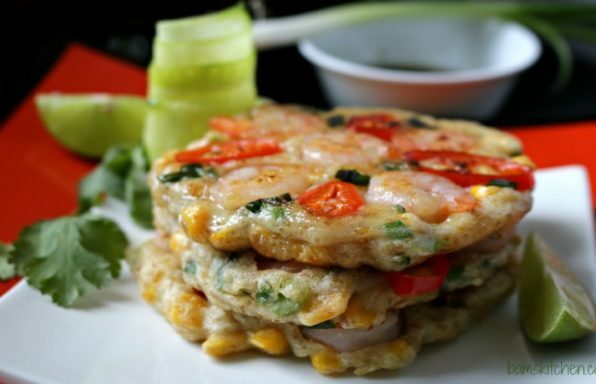 If you are looking for more CNY recipes be sure to check out our 10 + Fun and Easy Chinese New Year Recipes. Can you even think of a better way to celebrate food around the world than the humble noodle? Every Country has a version that is special to them. Please come join in on the fun. 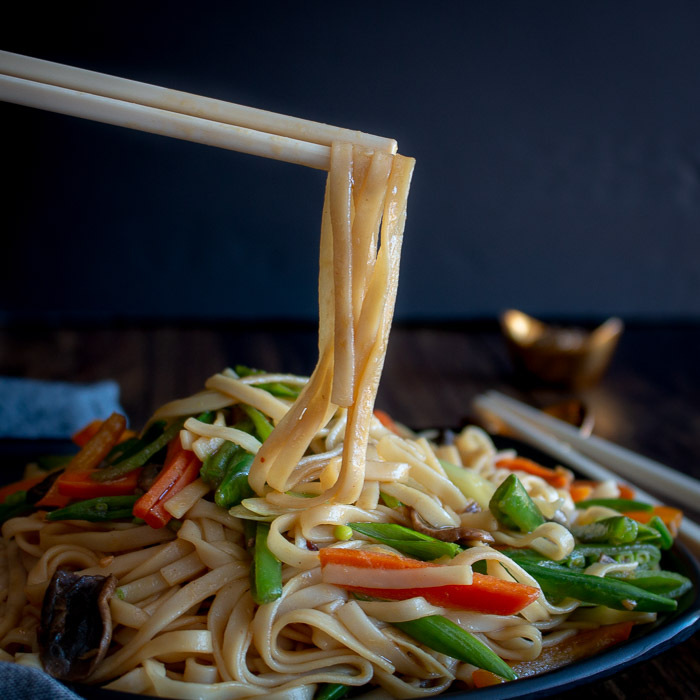 Every first Tuesday of the month All that Jas and Healthy World Cuisine bring to you 2 new noodle dishes from around the world. Be sure to check our Jas' post on Irish Lobster Mac and Cheese Pie. However, we want to see your noodle dishes you are cooking up in your kitchen. Please use the hashtags #noodleswithoutborders in your Instagram posts. If you would like tag us in your Instagram stories or posts (@hwcmagazine and @allthatsjas), we will feature you on one of our stories! How fun is that. Mom, dads, college students, grandparents, food bloggers are all welcome. Everyone is welcome. What is the difference between Lo Mein Noodles vs Chow Mein Noodles? Chow Mein means stir fried noodles. “Chow” means to fry and “mein” is noodles. In Hong Kong these thin egg noodles can be deep fried and served crispy with stir fried chicken, shrimp, pork and veggies on top. The noodles are really crispy. Delicious of course but a lot of extra oil and a bigger mess in your kitchen. Sometimes you see those little prepackaged chow mein deep fried noodles in a package in the grocery store. Lo Mein in Cantonese means stirred noodles. “Lo” means stirred and “Mein” means noodles. This is generally referred to noodles that are boiled until aldente and then tossed in a wok with seasonings, veggies and maybe proteins. The noodles are aldente and slurpingly delicious with a little bit of soy and seasonings. These noodles are not crispy. Lo Mein noodles is the technique we will be making today. If you can get your hands-on Cantonese Style thin Lo Mein “Egg” noodles, that is fantastic. We were not so we used a wheat based no egg Chinese lo mein noodles. You can feel free to use spaghetti, soba, udon or any noodle you desire in this recipe. Traditionally, in Hong Kong they would be prepared with a thin egg based lo mein noodle. Please note do not use Fried Chow mein noodles. Those are the short-deep-fried noodles and these are usually used on top of salads and such. Wishing everyone a safe and prosperous Chinese New Year from our family to yours! 2In a wok or frying pan, add oil, garlic, ginger, garlic chili paste or Sriracha sauce and stir fry just until aromatic. 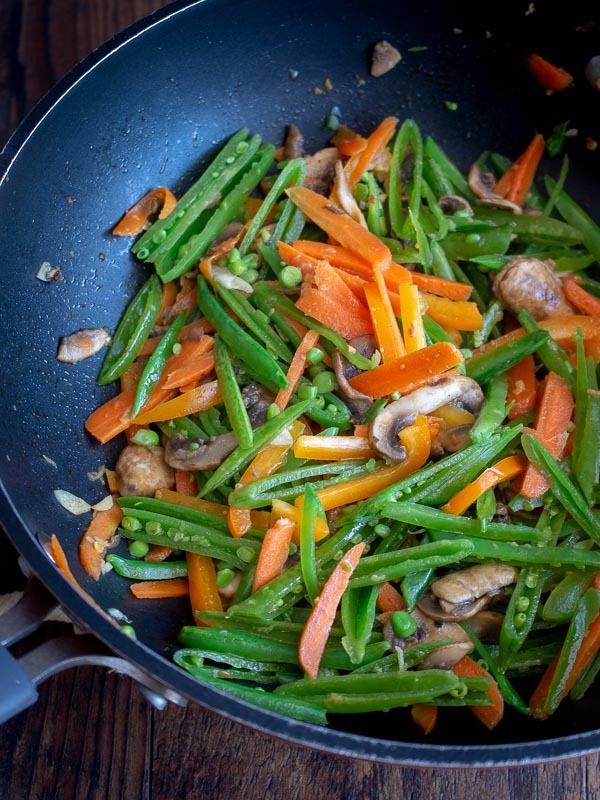 Add carrots and mushrooms and stir fry for 1-2 minutes. Add bell peppers, snap peas and fry for 1 minute until turn bright green. 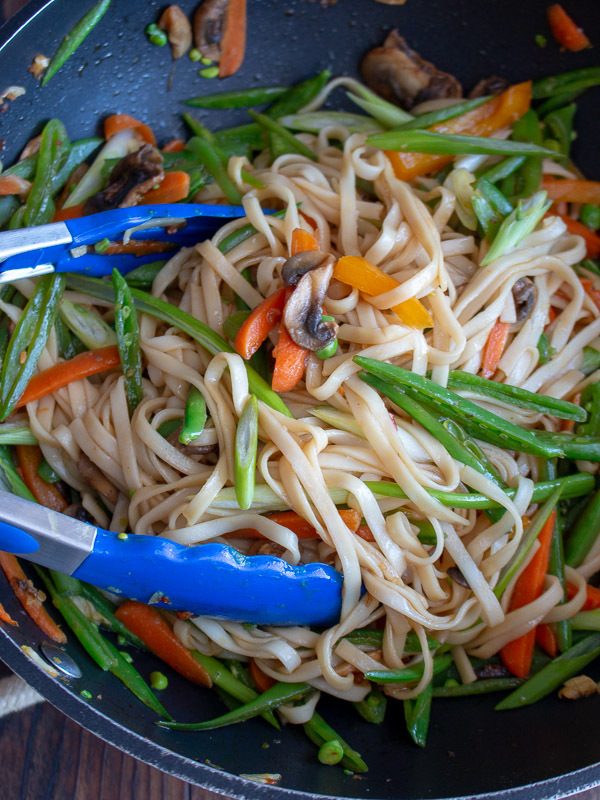 3Add cooked lo mein noodles to the vegetables in the wok. Add soy sauce (tamari), sugar or sugar alternative and white pepper and toss until well coated. Add green onions and give a quick toss and serve hot. Enjoy! 4Chef's Notes: Feel free to use any vegetables you desire but julienned to keep them similar in shape. Stir Fry your harder vegetables first. 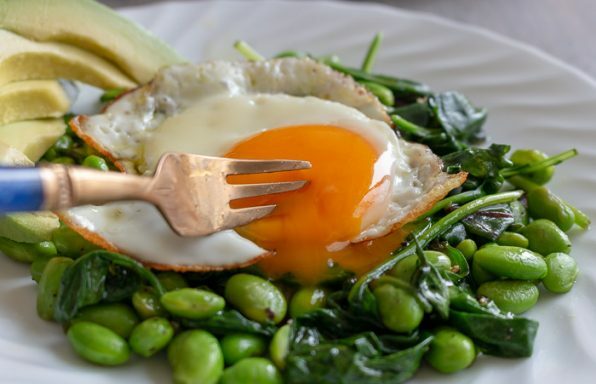 If you wish to add a protein such as chicken, pork or beef to this recipe, please slice thinly and fry first before adding the vegetables. If you like it spicier, add more chili garlic sauce or Sriracha and white pepper to taste. If you like it saltier, add a dash more of soya sauce. 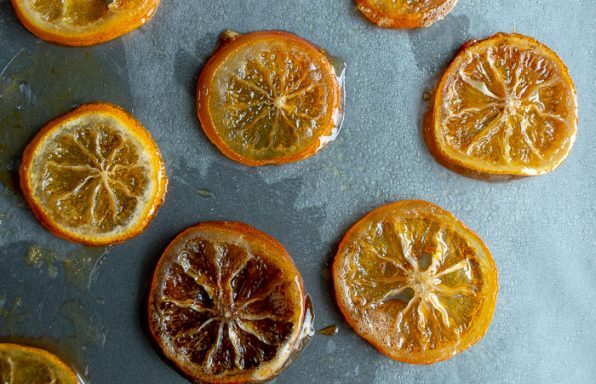 If you like it sweeter, then add a dash more of sugar or sugar alternative.